And while we’re on the subject of handset manufacturers, where’s mention of everybody else besides HTC? HTC, the world’s leading maker of smart phones as an ODM, has publicly stated it plans to come out in 2008 with an Android phone. 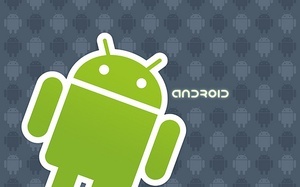 Google swears there will be Android this year. But what about Samsung? Or Motorola? Or LG? They’re supposedly going to deliver Google phones in 2009, but how’s that going? Sony Ericsson has fallen on hard times lately, so it’s conceivable that it’s worrying about its own problems, not the Gphone. And let’s not forget that, while Apple has received mostly praise for the iPhone 3G, the iPhone 2.0 software update, the grand opening of the Apps Store, and the arrival of third-party applications for the platform, there’s still a lot of complaints about the OS crashing and buggy first-gen apps. It hasn’t been a super-smooth road for Apple, either. So why do we think that HTC — or anybody else for that matter — is going to introduce an Android-powered phone in the 4Q of 2008? If someone does, chances are it will be a Gphone, loaded with Google apps, because from what we see there’s not even a hint of an Apps Store-like place for users to buy third-party applications written for the platform. It’s not that I’m against a Google phone. Far from it. The cell phone world, especially in the U.S., needs Google, and Apple. These two can challenge other manufacturers to develop innovative new phones and together (hopefully) they can knock the siloed, we-don’t-really-want-openness-and-change carriers on their keisters. 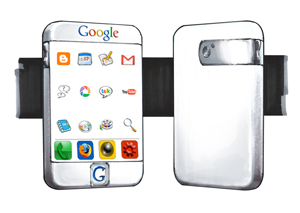 Google should have developed its own damn phone. And even then, there’s no guarantee it would be ready for 4Q 2008.